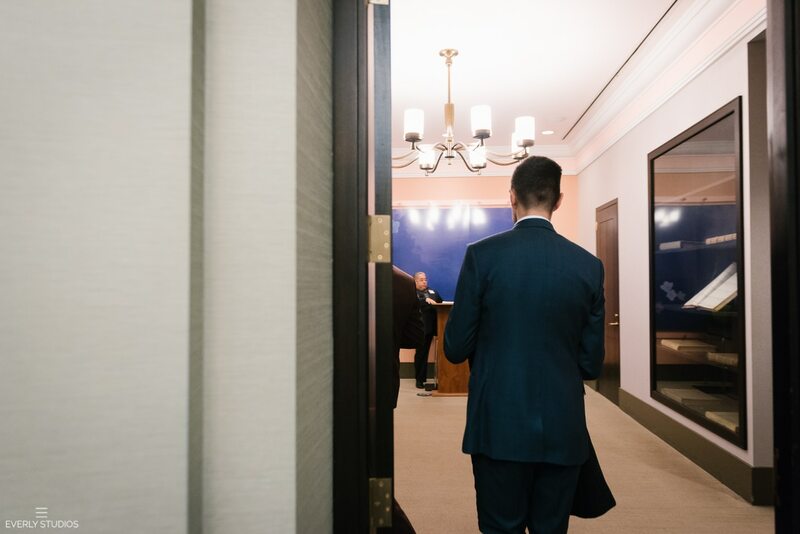 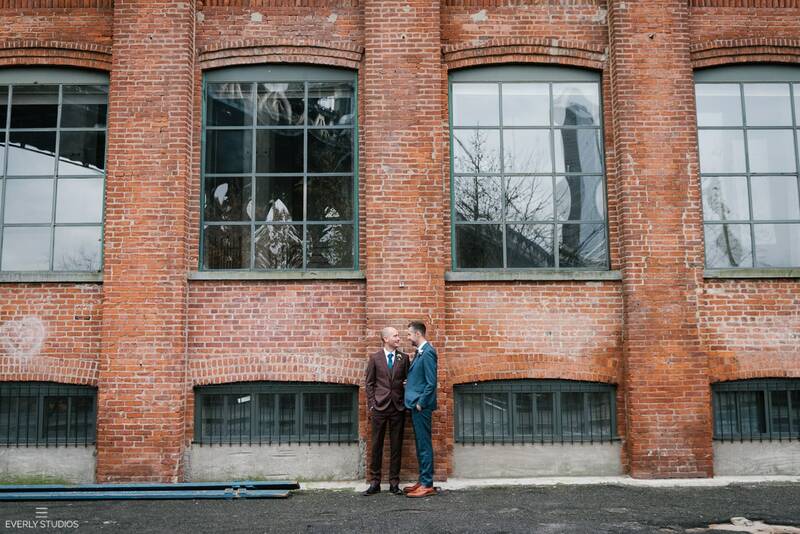 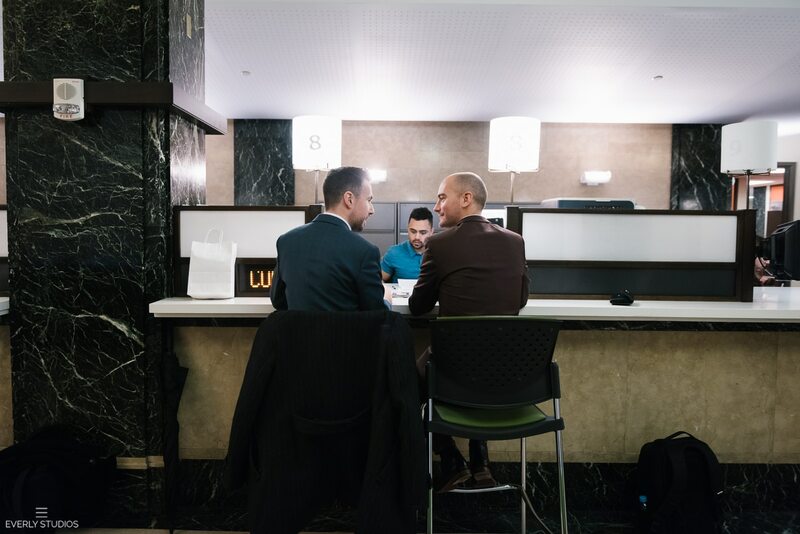 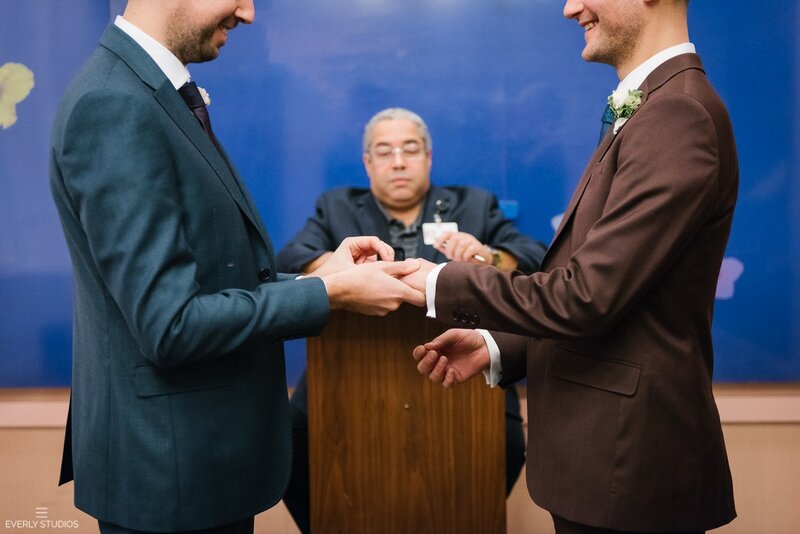 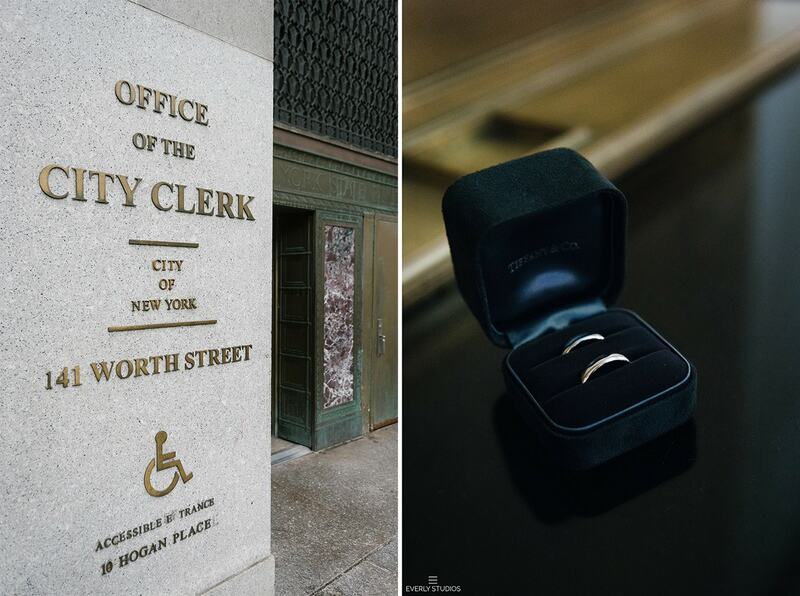 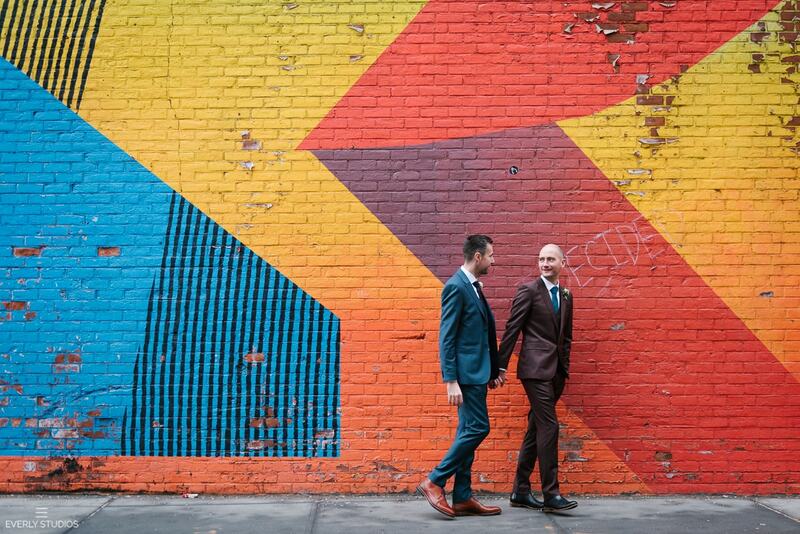 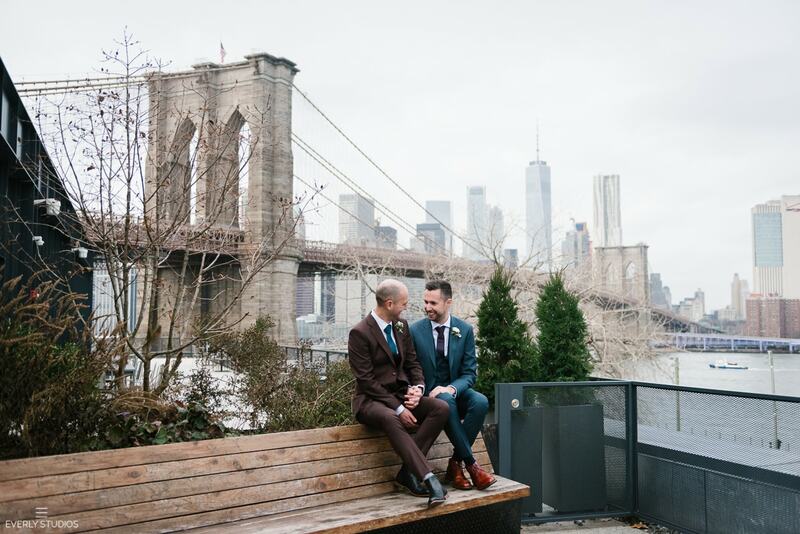 It takes a lot of work to plan a City Hall marriage in NYC from abroad. 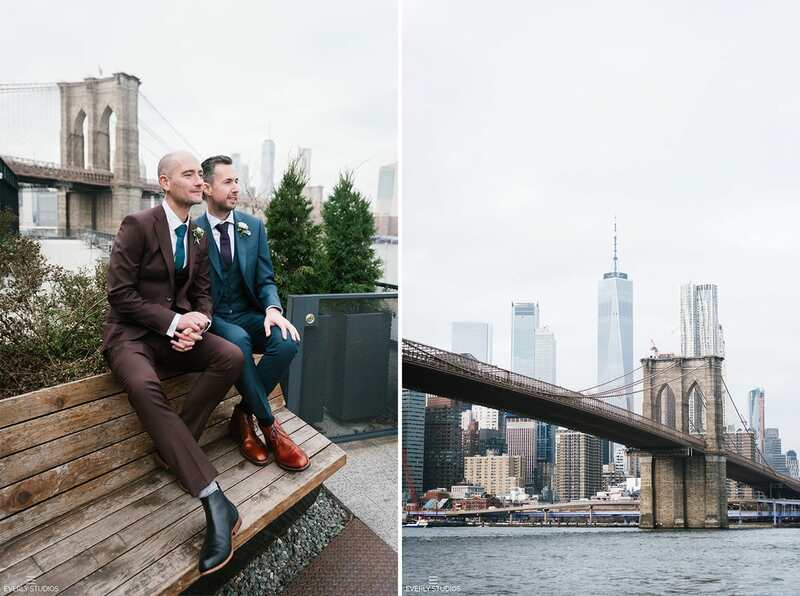 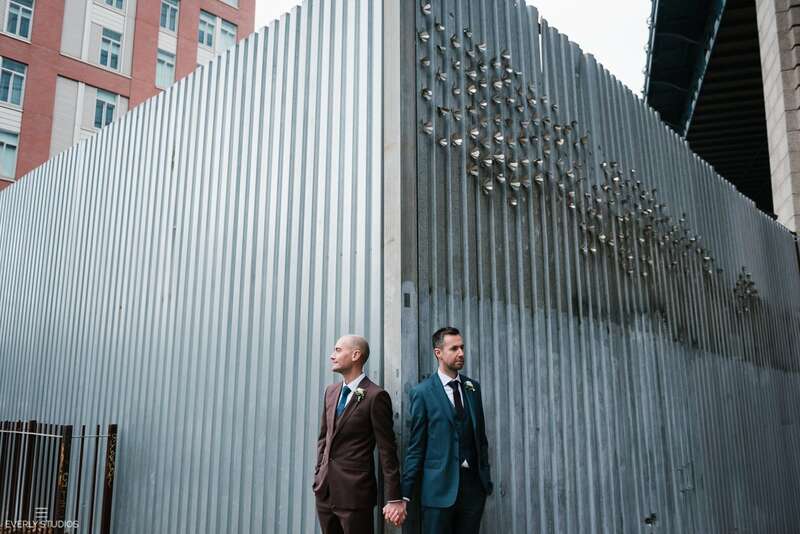 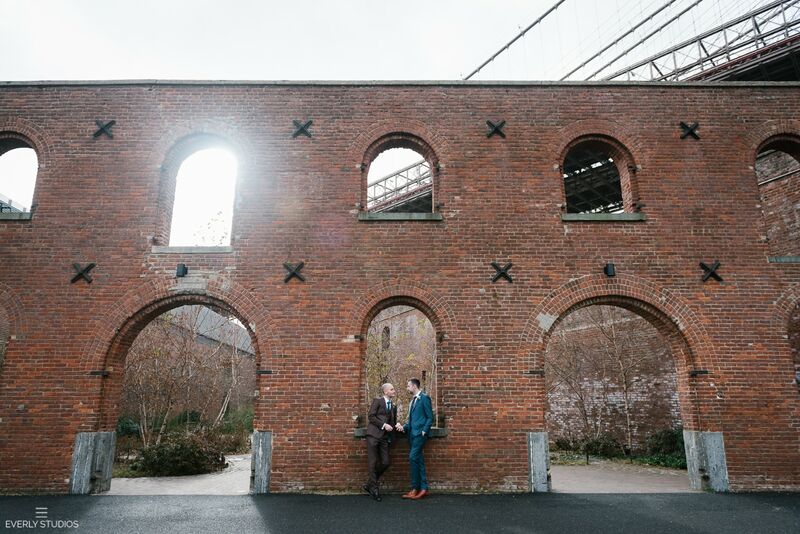 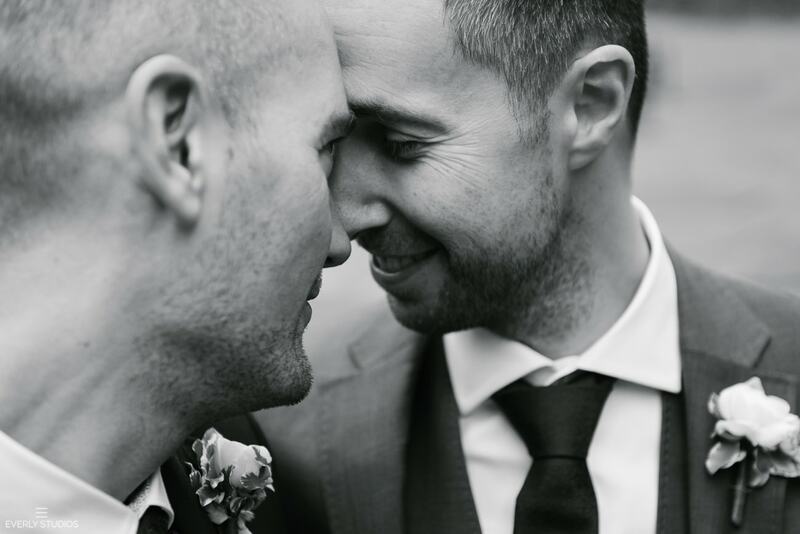 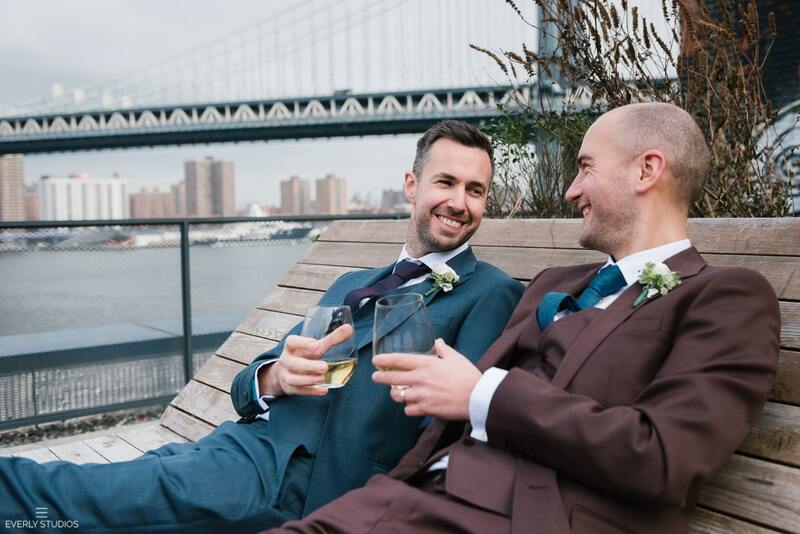 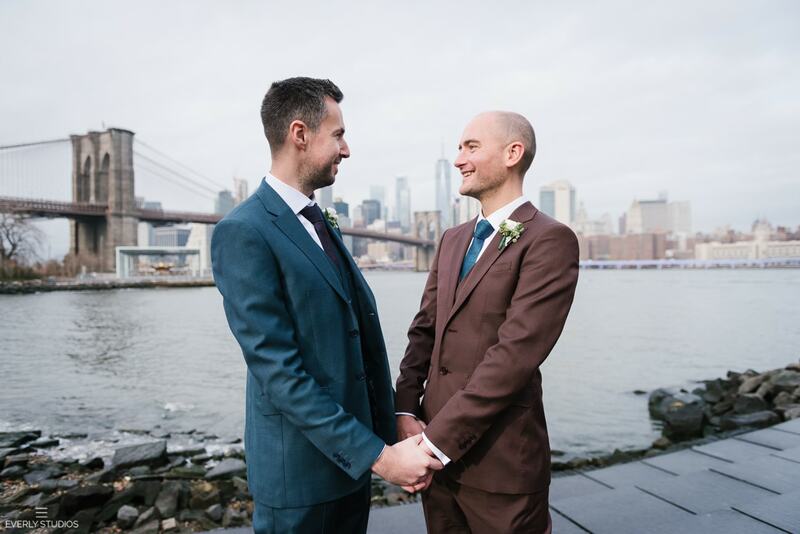 But for UK couple Michael and Keith, who consider New York their beloved second home, the effort was more than worth it. 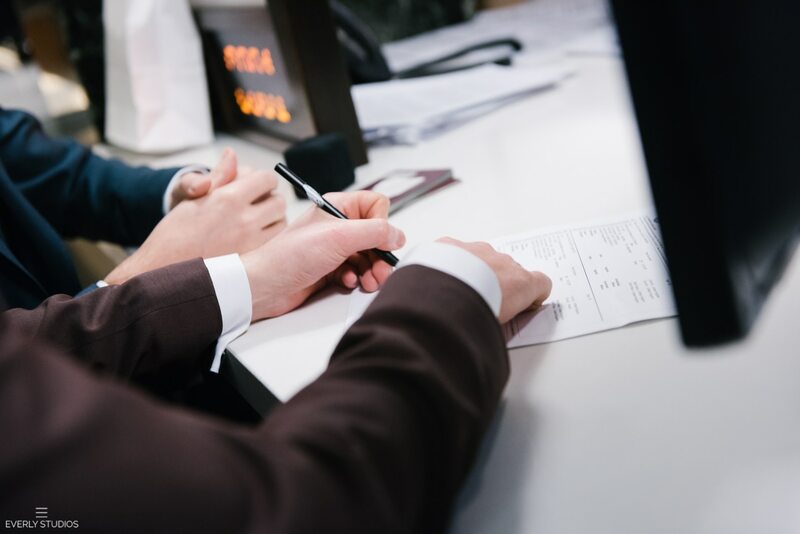 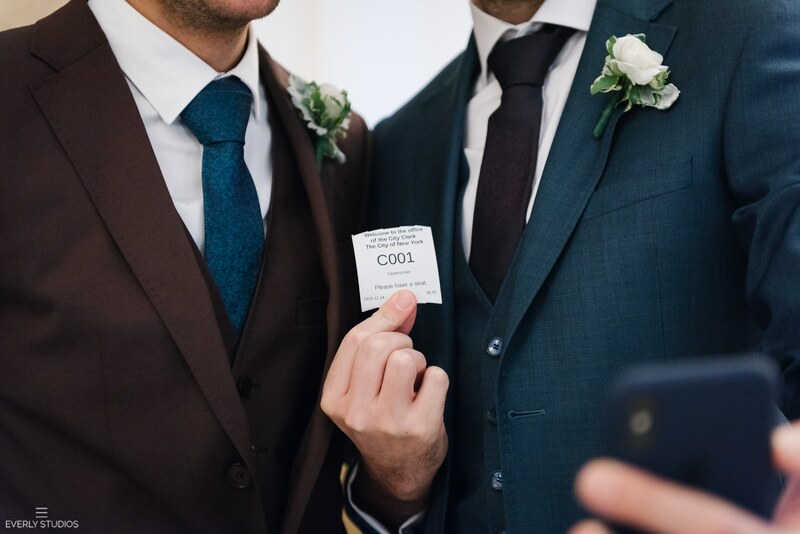 I had recommended that the couple show up early in the morning to minimize the queue at the Marriage Bureau, and lo and beyond they were first in line, grabbing 001 as their wedding ticket number. 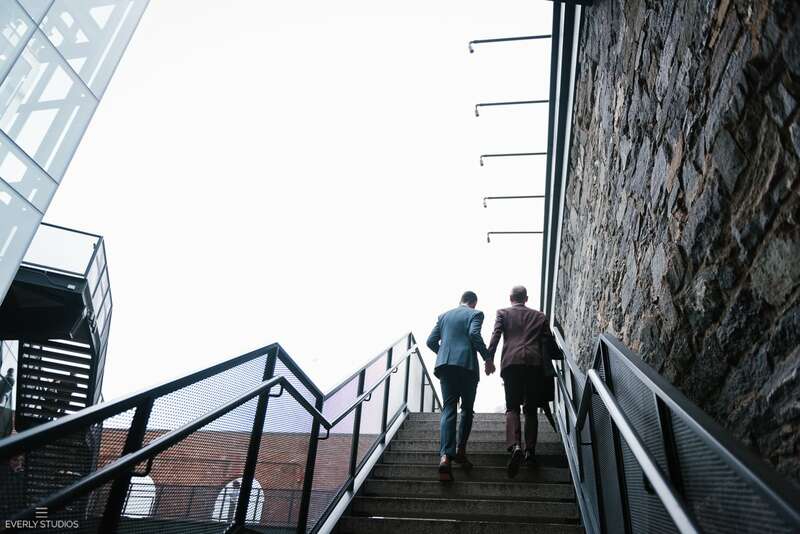 Typically my couples take around an hour or so if they queue up before 9:30am. 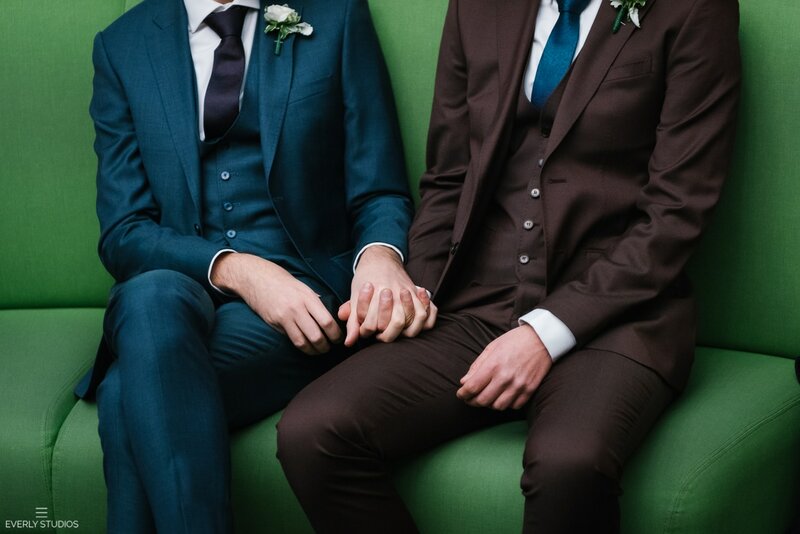 For Michael and Keith? 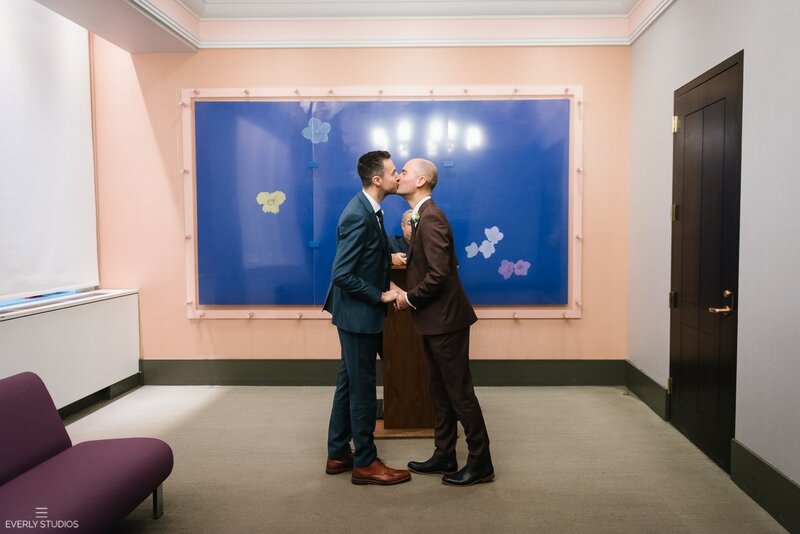 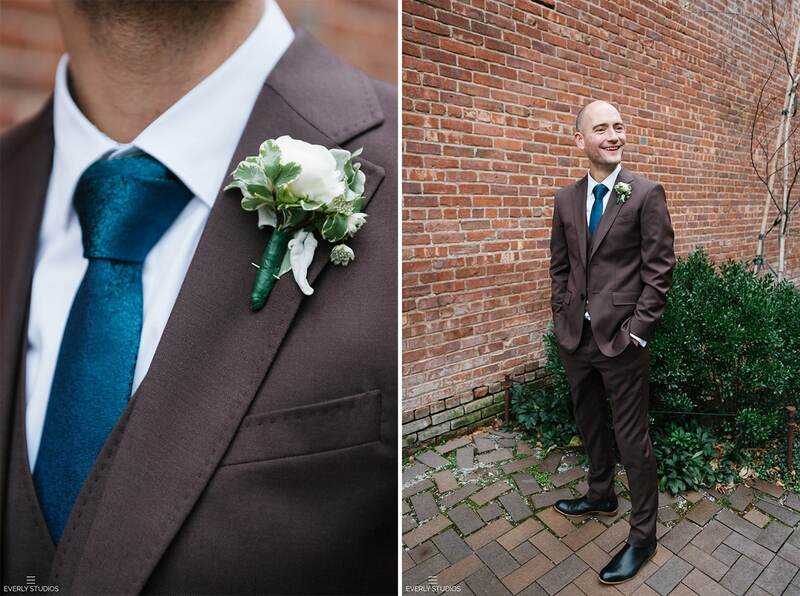 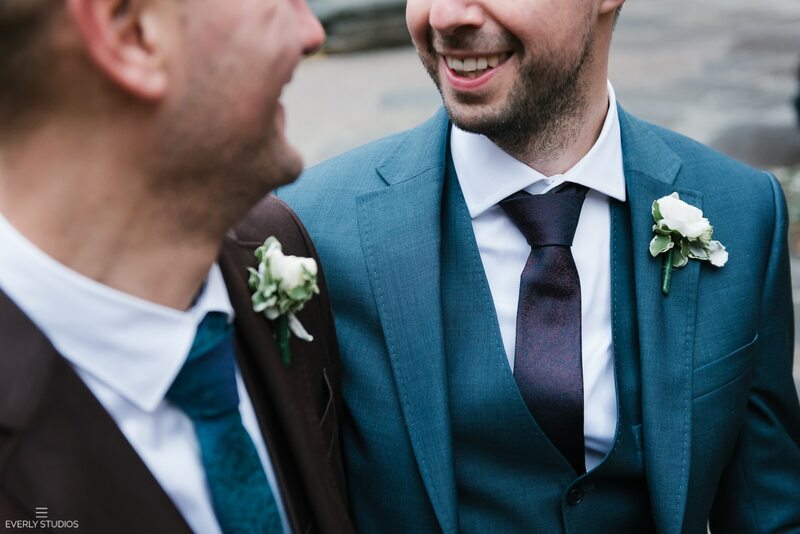 A flat 20 minutes (couples wanting a fast ceremony, take note!). 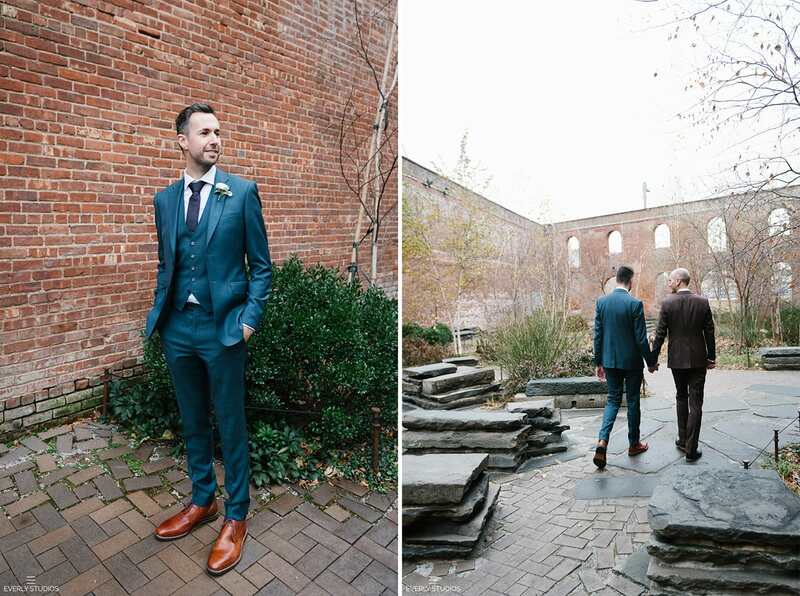 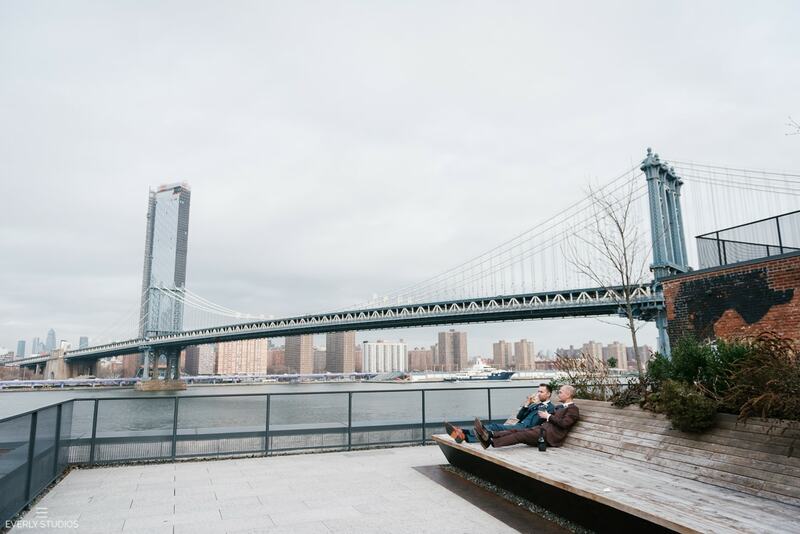 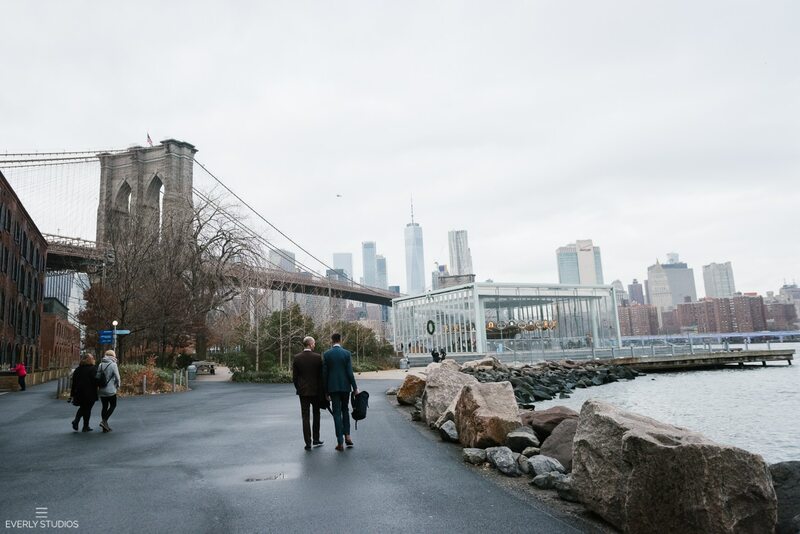 Afterward, we hailed a cab and headed to Brooklyn Bridge Park, one of my absolute favorite places to shoot. 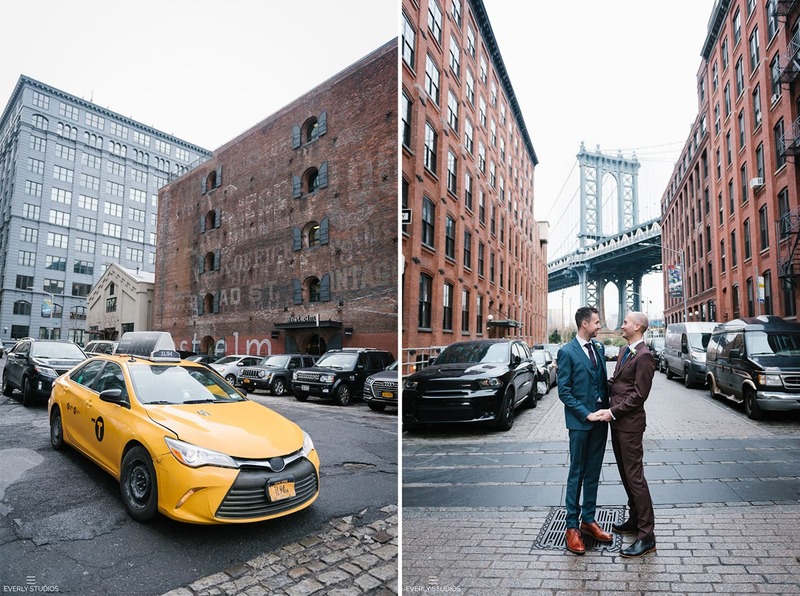 It was still early in the morning, and we took full advantage of the lack of tourists, circling through the courtyard at St. Ann’s Warehouse, strolling along the waterfront, stopping by the street murals. 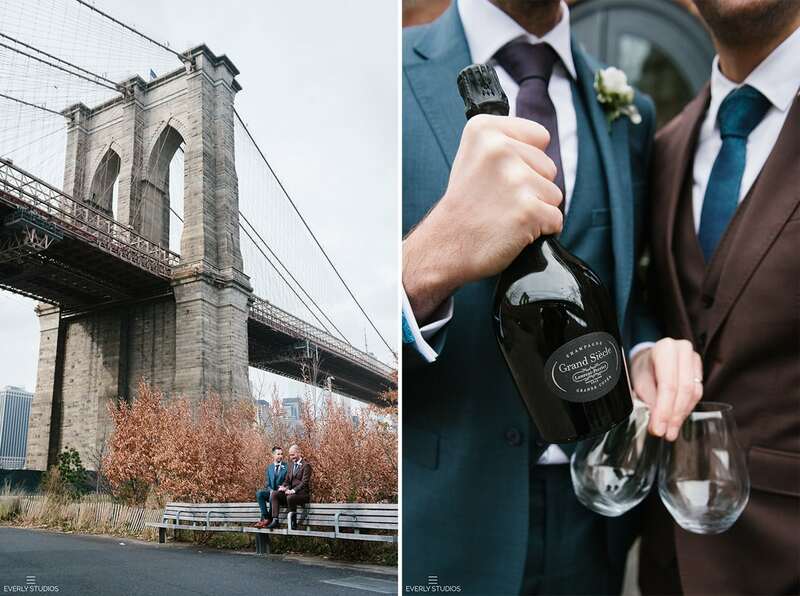 A surprise bottle of champagne also made an appearance out of Keith’s bag, and we ended the session on a high note, sipping champagne on a nearby rooftop, with views of the Brooklyn Bridge and Manhattan in the distance. 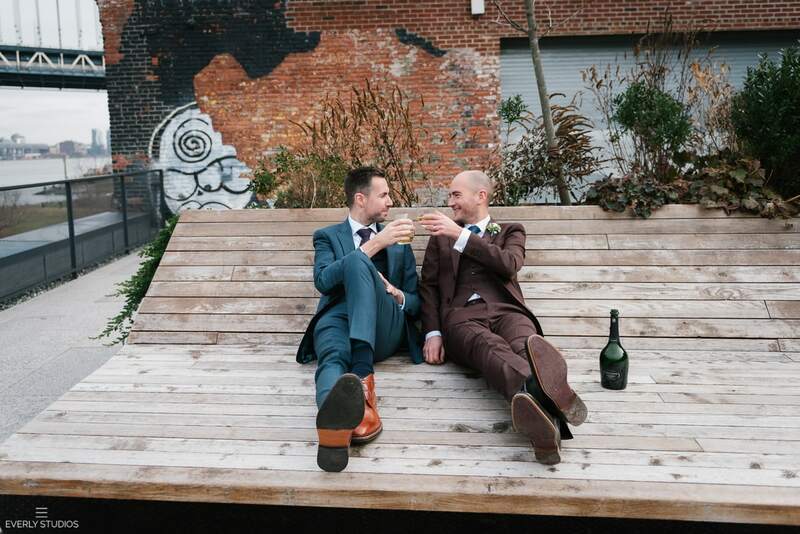 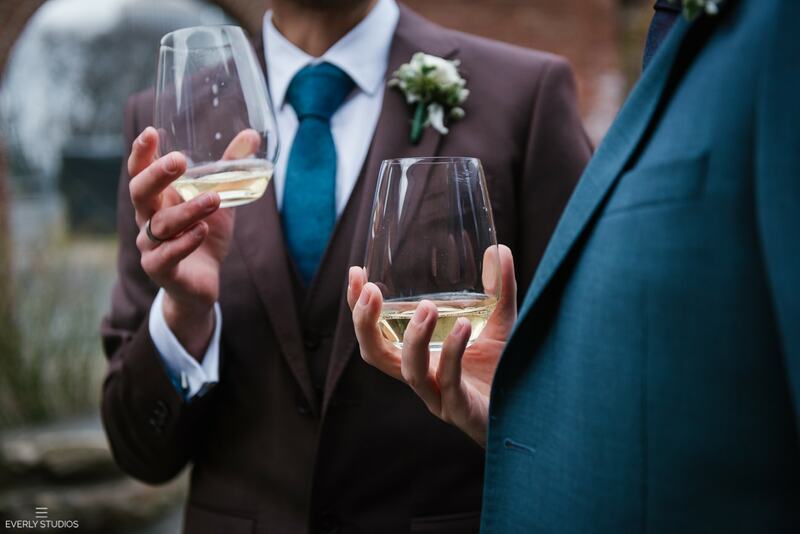 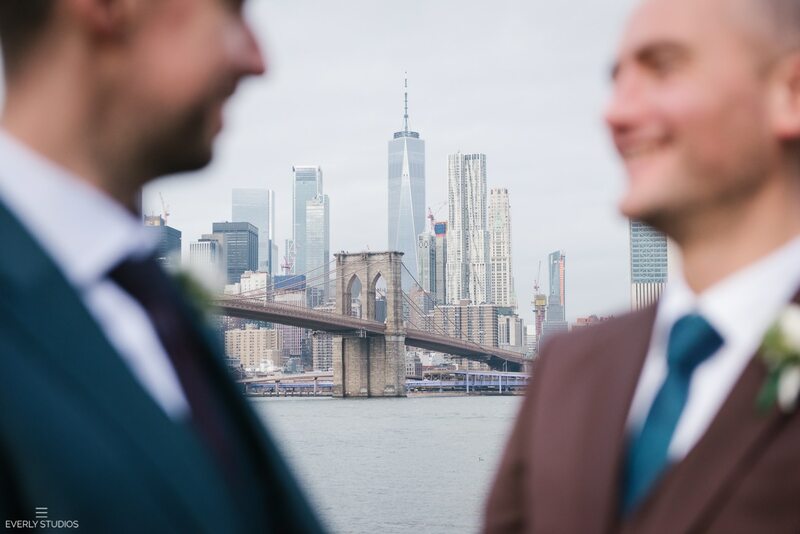 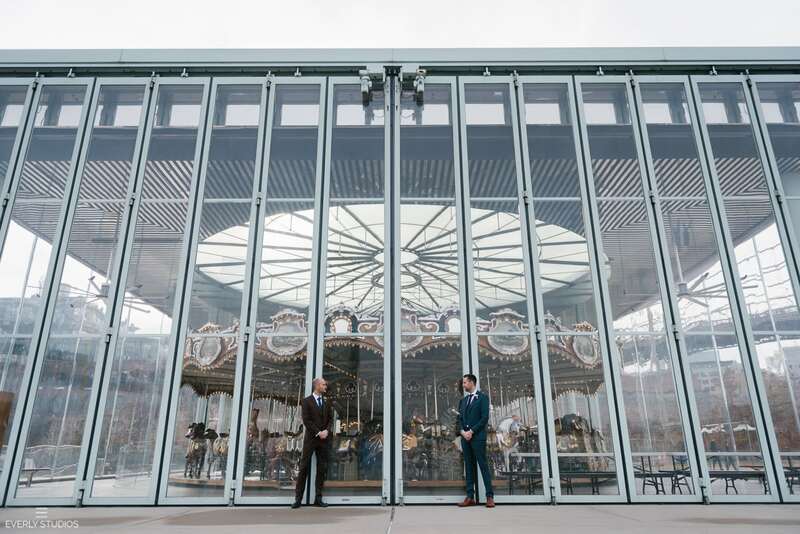 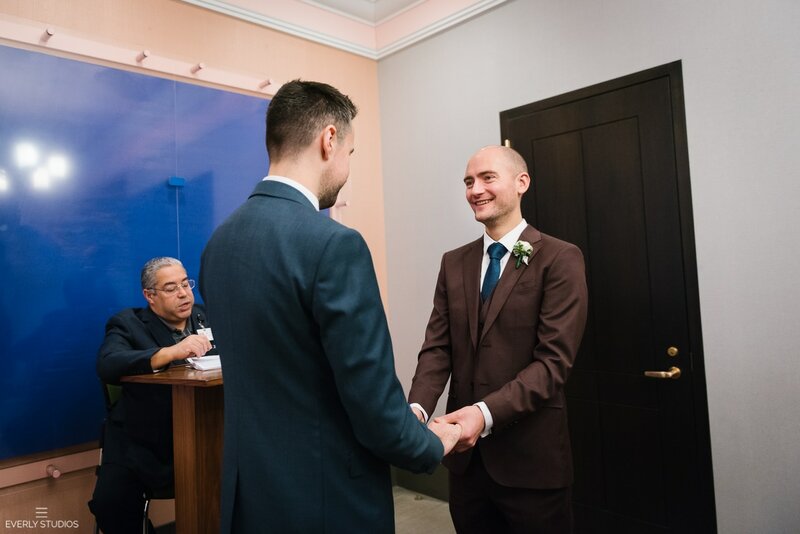 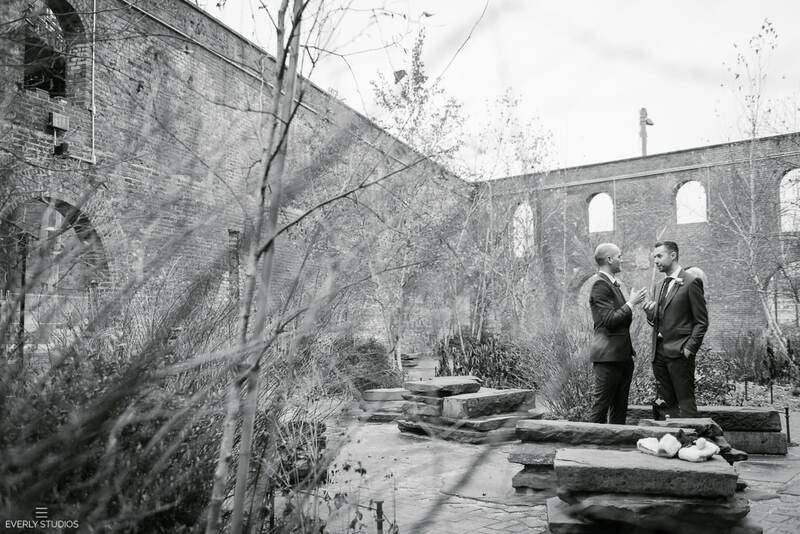 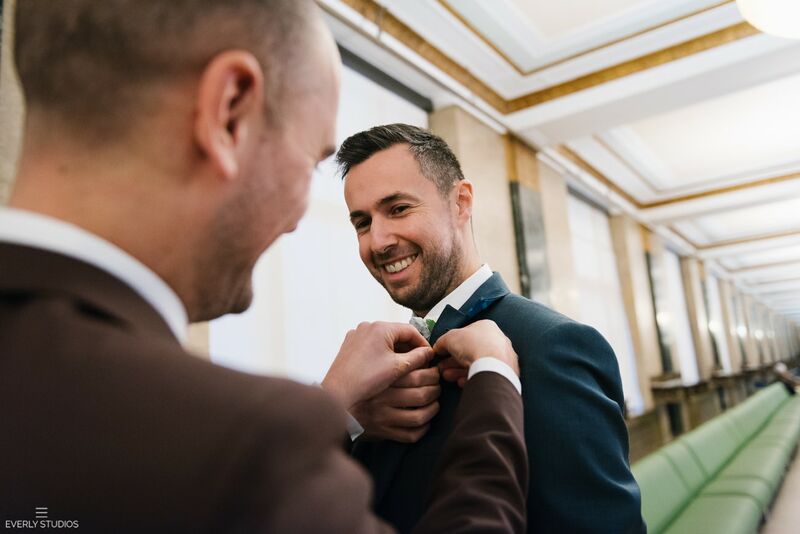 Still worth it to plan a City Hall marriage in NYC from abroad? 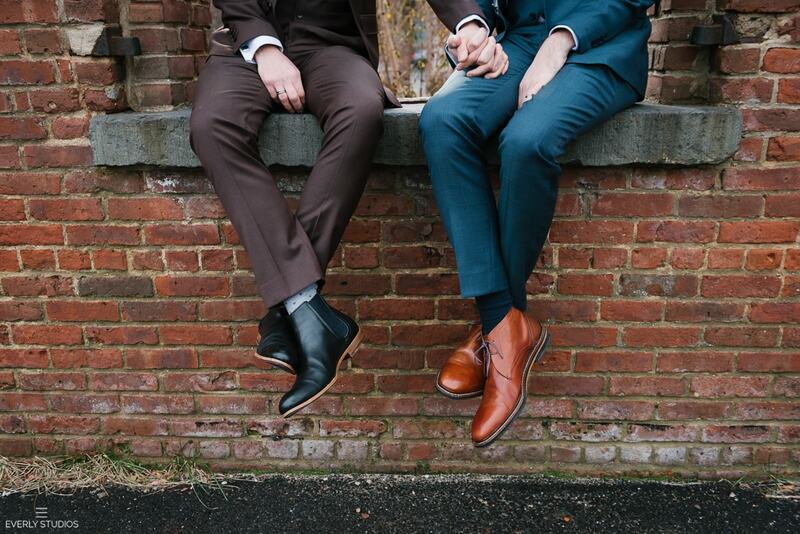 I think we’d all agree: hell yes. 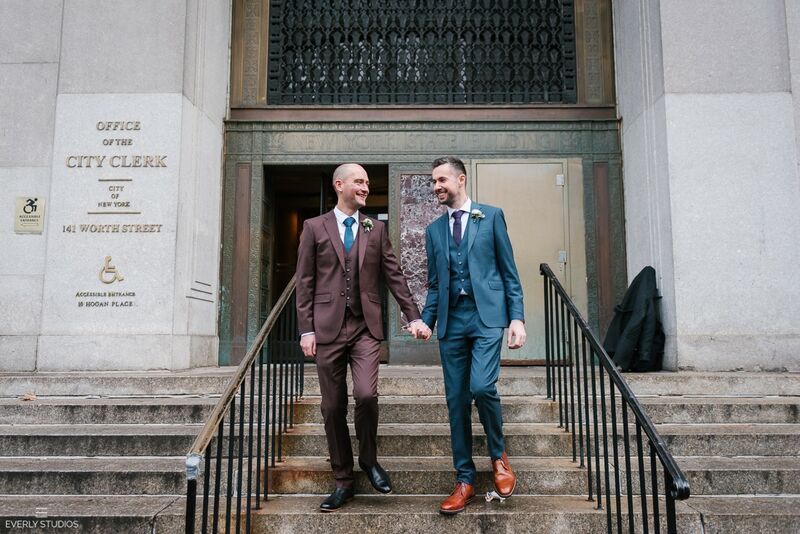 Thinking of having an NYC City Hall wedding?